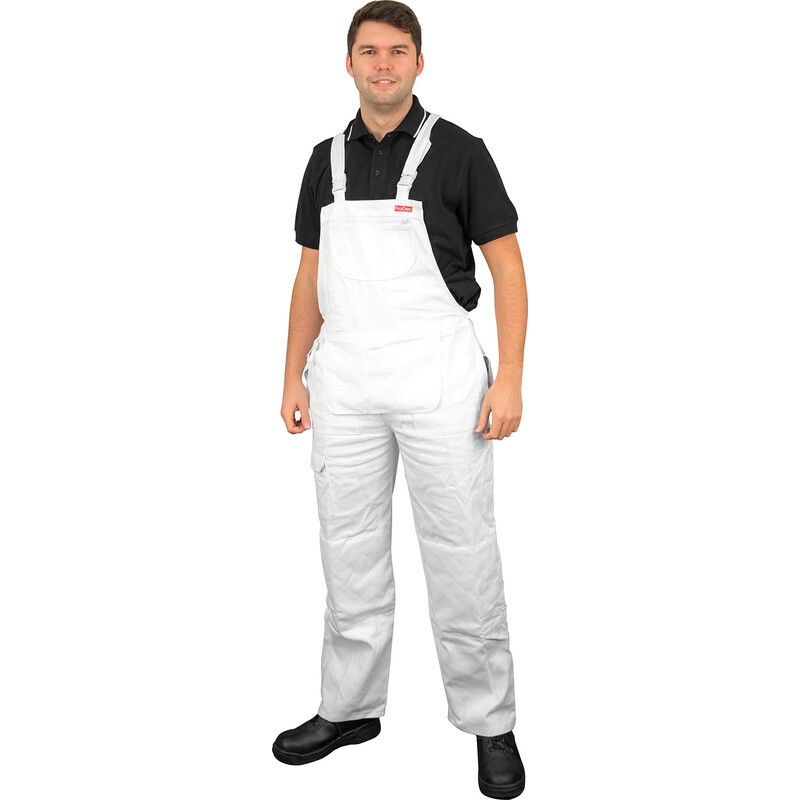 Prodec Painters Bib & Brace X Large is rated 4.5 out of 5 by 15. Rated 5 out of 5 by treads from Good kit. Great price and good quality. Can’t really rate reliability as just purchased product and used twice, however quality seems very good. Rated 5 out of 5 by Waterboy from Good Value for money Have tried other makes without success. Prodec certainly meets my personal needs. Rated 5 out of 5 by Lalo from Just fabulous I bought these to craft in, very comfy, great front pouch. I love them !! Rated 5 out of 5 by HGraham1509 from Happy! Excellent product. Good quality. Very fast delivery! Rated 3 out of 5 by Cotswold Handyman from Poor stitching Very please with the quality and features of this bib & brace, although the stitching on the left hip pocket immediately fell apart, my van keys fell thru and were nearly lost. 5 stars otherwise. Rated 5 out of 5 by Striker from Great value Bought a few pairs now for my son because their customer base is pretty exclusive and good presentation is a must. At this price for this quality it’s more than cost effective to keep looking smart while on a job.